I’ve been thinking about paper mache the last few nights. I came across the piece above by Susan Dwyer and was quite mesmerized. The color and shape seemed delicate and interesting. I imagined them in a group maybe painted pink on the inside. 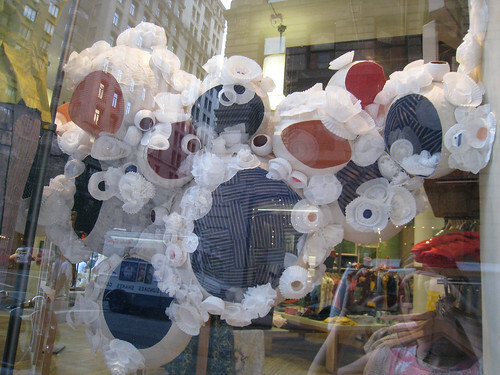 Then, I remembered seeing some paper mache pieces in the Anthro windows in New York last Spring. The sphere objects where made into a garland and decorated with red, white, and blue striped fabrics. I wonder what I could make? p.s. 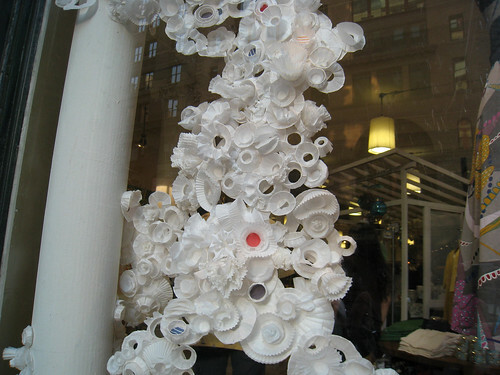 I included another shot showing a piece of the garland that used paper liners, coffee filters, and plates. This is a GREAT WINDOW ! Wow, I thought that I/we at FineCraftGuild was becoming the Paper flower queens, but really, we’re mere ‘toddlers’ when it comes to the merchandisers / designers at this great, great lifestyle store. 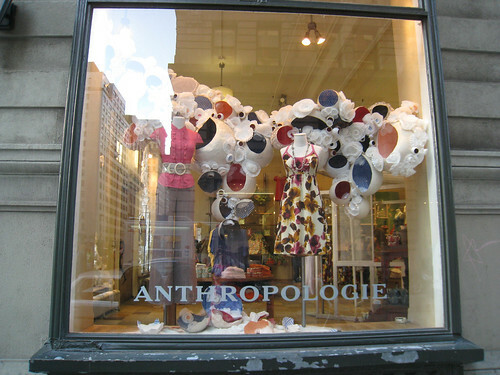 Gosh- couldn't you just live in an Anthropologie store? I know I could.